Ideal 12" baby doll for the littlest mommy. Specially designed for water play, totally submersible in water for fun bath time play. 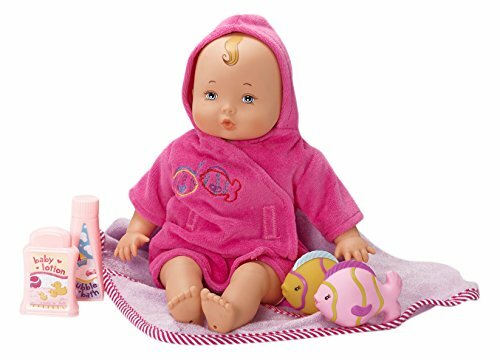 Includes hooded towel, 2 fish bath toys and play bath bottles. SKU 69015.